By now, talking about the benefits of jailbreaking iOS devices should be unncessary. It’s needless to say how much people have been waiting for the Absinthe 2.0 iOS jailbreak. 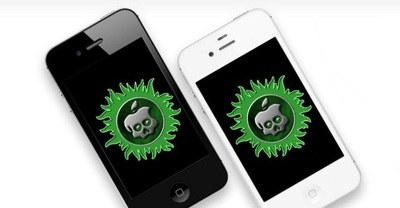 Earlier this week, the Absinthe 2.0 iOS jailbreak was released. For those of you waiting to take your iOS 5.1.1 device to the next level, on Friday the Absinthe 2.0 jailbreak was released giving bold users something to do over the weekend. While some say the new jailbreak is the reason they love their iOS devices so much, PC World claims that because of “the fact that iOS devices can be rooted poses a significant security risk”. The release announced in Amsterdam, during a Hack in the Box security conference, is the result of the collaboration between Chronic-Dev Team and iPhone Dev Team. The new jailbreak was also announced in a blog post that reads: “After copious amounts of work and many sleepless nights Absinthe 2.0 is finally here to jailbreak your device”. Dhillon Andres Kannabhiran, founder of Hack in the Box, said the jailbreak release made the conference “one of the most highly anticipated talks we’ve EVER had at one of our HITB conferences and we’ve done quite a few of these”. The developers behind the Absinthe 2.0 iOS 5.1.1. say it is “one of the most easiest jailbreaks to use (so easy your grandma could do it)”. But PC World warns users enticed by the Absinthe 2.0 release about the risks of operating a jailbroken Apple device. According to analyst Armando Orozco with Webroot Threat Research, the iPhone in particular tends to be “susceptible to vulnerabilities just like other operating systems”. This means that “a malware author could exploit Webkit and target users in some form of social engineering like a malicious link in a email or SMS”. Another warning comes from Andrew Storms, the nCircle director of security operations. This time, the risk pertains to devices that haven’t been jailbroken yet, emphasizing that there’s no such thing as real security. “The real security risk is the false sense of security users get from vendor approved app stores. These stores create a false sense of safety so users drop their guard” adds Storms. “Losing a healthy sense of paranoia is the first step to being phished” concludes his explanation the nCircle director.